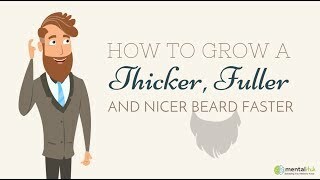 Beard trimming isn’t the only thing that we men have to worry about when it comes to grooming and maintaining our facial hair. Much of the time what takes us from a “not bad” to a “great” is the smaller details. The fact that your beard is trimmed down just that extra bit to look extra sharp. The fact that you cut perfect cheek and necklines on your beard. Your ear, nose, and eyebrow hair are under control. Imagine it this way…you’re wearing a suit and you’re strolling down the main drag, looking pretty good to most passersby. However, on closer inspection, someone notices the suit hasn’t been pressed recently, the collar on your dress shirt isn’t too crisp, and your tie has a small spot on it. Those little things that might take a minute to notice but really detract from the overall look are the things we have to remember if we want to look top notch. And remember, nose hair trimmers aren’t just for your grandfather. Guys of all ages can get a stray hair now and then that can be both embarrassing if it creeps out of your nose, and uncomfortable. Of course, the most important thing you can have as a mustachioed or bearded man is a trimmer, but if you’re really looking to kick it up a notch and pay attention to the little things, you absolutely have to pick up a smaller grooming tool like a nose, ear, and eyebrow clipper. These are the 5 nose hair trimmers we recommend. There are others out there, sure, but you’ll be well served if you go with one of the units above. 4 of them are standard battery/electric powered tools that provide outstanding results, and 1 of them is an innovative manual trimmer that you’ll definitely want to consider. If you’ve never heard of a small device like these before, you may have just recently become familiar with grooming. Even if you haven’t had one before, they’re pretty popular devices and made fun of quite a bit in pop culture – just another way to show men as buffoons to get a cheap laugh. These are definitely not spikes that you will jam up your nose only to pull it out quickly and wince in pain. They’re high quality, well-made tools that are made to operate in the sensitive areas like inside your nostrils and in your ears. You certainly have to exercise caution when using them, but they’re specifically meant to do the job that you want them to do, so you shouldn’t have any issues. Usually, you’ll have an extended tip on the end of a small handle that will be inserted into your ear or nose. By turning it on and rotating it, the trimmer should trim any hairs that are in its path, leaving you with clean and trimmed orifices. The models we’ve chosen to showcase are the best ones we came across, meaning that the chances of pulling a hair in your nose and having tears stream down your face are very minimal, and the whole process should only take a few seconds. Using one of these little trimmers is almost like flossing. Not many people take a few seconds to do it, even though it has very important results. It will be helpful to give you a quick review of each of our picks here, in case you want more information than is given above in the table, but don’t have time to dive into each individual review. Have a look at these, then find the best price (usually on Amazon) by clicking the link at the end of each review. This thing will do it all, and it will do it well. You’ll be able to trim your nose, ears, eyebrows, and even touch up your beard with it. The double-edged blades cut in such a way and on such an angle that very little if any, pulling occurs. It takes just a single AA battery to operate and is really easy to hold and move around to the necessary parts you want to trim. The “Vortex” part of the name refers to Panasonic‘s Vortex Cleaning System. Basically, you can run it under the tap and the head will filter water through in such a way that it will clean most of the hairs that get trapped inside the unit. The water runs through and takes the hair with it out of a channel on the side of the head, specifically designed for this cleaning process. It all sounds great, right? But all you probably needed to know is that this is the best selling item in the trimmer and clipper grooming department at Amazon and has been for many months. Not only that, but it gets massively high ratings. Now, of course, Amazon ratings aren’t everything, but can you really argue with a 4.3 out of 5-star rating that includes over 1600 5 star reviews? This gets our pick for a top spot in this category. Another model that does more than just trim your nostril hair, the NT9130 from Philips is a full-blown do-everything accessory that would nicely complement any beard trimmer. It has two different tips, one longer tip that is used for nose and ear hair trimming, plus cleaning up eyebrow lines if you’re into that, and another that is basically just a mini version of a trimmer head like you’d find on any set of clippers. It’s used for edging your beard lines and keeping things like sideburns and goatees tightly trimmed. It also comes with a couple of length guards and a handy travel case so you can stay sharp on the road. Very easy to clean (run it underwater), this is a low maintenance unit. Interestingly, Philips is so confident about the technology they’ve put into the D-Finer that they’re claiming guaranteed no pulling. That’s a pretty big promise to make, but reports seem to show that it is indeed made to be exceedingly gentle against the skin and extremely sharp to cut hairs without those annoying pulls. Really versatile and high quality, so we couldn’t pass up recommending this handy tool. We’ve been noticing ToiletTree lately in a number of spaces, and they definitely seem to be paying attention to what their customers want. With various tweaks to a number of products based on customer feedback, we’re really comfortable putting our trust in this company. Their nose hair clipper is made of stainless steel, too, so you start off feeling the quality of the unit right out of the box. It’s water resistant which makes it easy to clean or even use in the shower, and it actually has a small LED light that points in the same direction as the blades. Honestly, this is probably more gimmicky than useful, because it’s not that hard to trim the hairs in your nose, but on that rare occasion when you might need to get a good look at that pesky hair that just won’t go away…hey, why not? We’d buy this unit for its quality and it’s lifetime replacement warranty, though, not it’s special features. It’s a really solid, well-made unit and with that warranty, you really can’t go wrong. All you need to operate it is a single AA battery, and you’ll find useful in your ears, around the edges of your beard, a bit on your eyebrows, and obviously inside your nostrils. The only manual model on our list, this one is much different than anything else you’ll see on the market today. With over 20 years of American-made quality behind this product, it’s definitely high quality and gives you a totally non-electric/battery powered option in a market full of batteries. Made from stainless steel, the Platinum XL by Groom Mate operates by turning the bottom portion of it. Simply stick the top end up your nose and turn the bottom. This move the blades, which are extremely sharp and well-designed. They cut the hairs of your nose quite easily, and that’s all the work you have to do. The company guarantees the blades will stay sharp forever and says it’s impossible for you to cut or jab yourself due to the safety-first design. We love that not only is this American-made and backed by two decades of success, but each unit comes with an unconditional lifetime money-back warranty. That means if you are ever dissatisfied by it, or it breaks, or anything else, just send it back and they’ll make sure you’re satisfied with a refund or a replacement. How’s that for standing behind your product? If you’re wondering, the product has almost 500 perfect 5-star reviews on Amazon from the nearly 1000 people to review it. Definitely a unique but worthwhile option! Another trimmer with a fancy mini-spotlight to guide the way through the forest of nose hairs! Wahl is an amazing company when it comes to grooming products, so we’ll take their word on it that it is a useful feature. It was great to see Wahl had a really solid unit in this space. The Peanut, one of their beard trimmers, is just about the most classic and popular clipper you can find, so we’re all ears when they’re in a particular market. This comes with 2 interchangeable heads. One is the classic nose hair trimmer attachment, the other is a very small trimmer that can be used for eyebrows (with the guide comb attached), trimming your beard and mustache, or doing any other facial hair touch-ups. It is one of the least expensive units, is very versatile, uses just one AA battery, and can even be used in the shower. Overall, 5546-200 is a really powerful tool. The 4-star rating on Amazon from everyday users of the product is a great sign that you’re getting one of the better models available. Without a bunch of bells and whistles, and with Wahl’s ability to make a high-quality product at a low price point, we’re pretty confident you’ll have good luck with this one.